This tutorial shows you how you can incorporate textures into your design work and transform it from a simple design into something special in minutes. 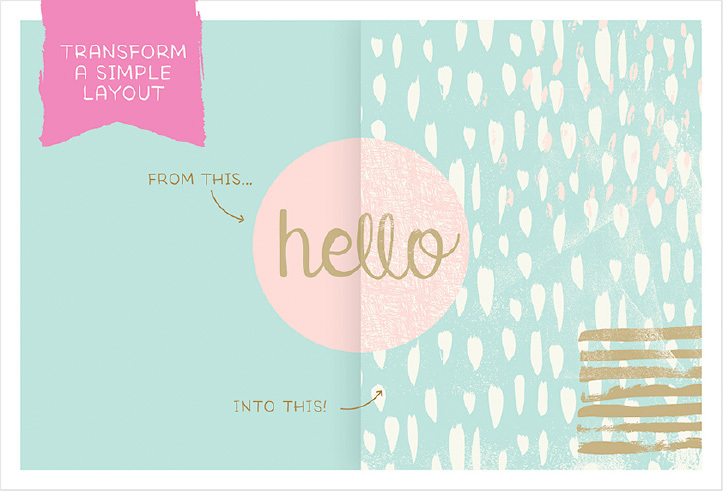 I’ve used my Tasty Texture Pack in this tutorial and created my layout in Adobe Illustrator. 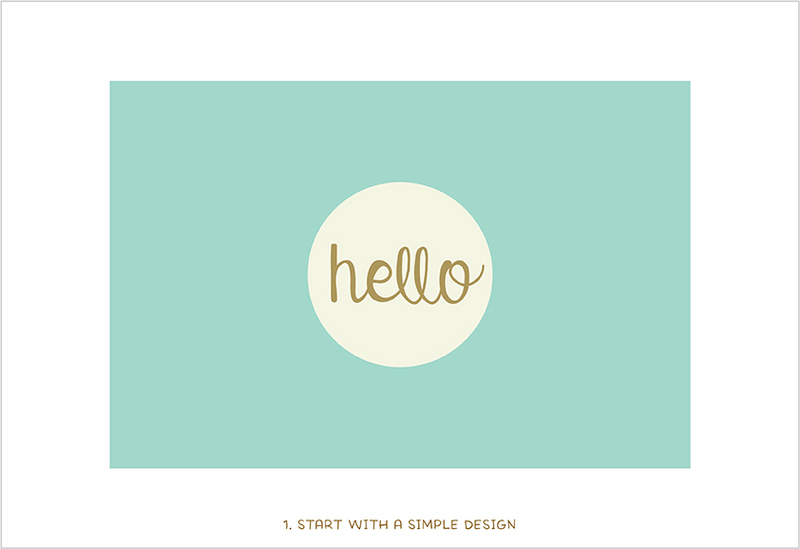 Create your document and simple design. Start with a colour background of your choice. I’ve chosen a minty blue. Now add simple shapes and text if you like, depending on your design. 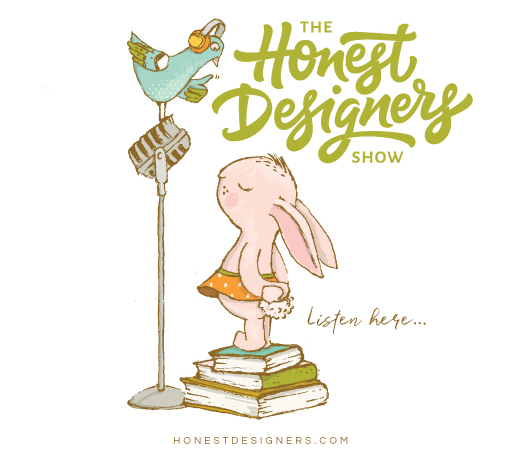 You can keep the design fairly simple because the textures are going to do all the work. 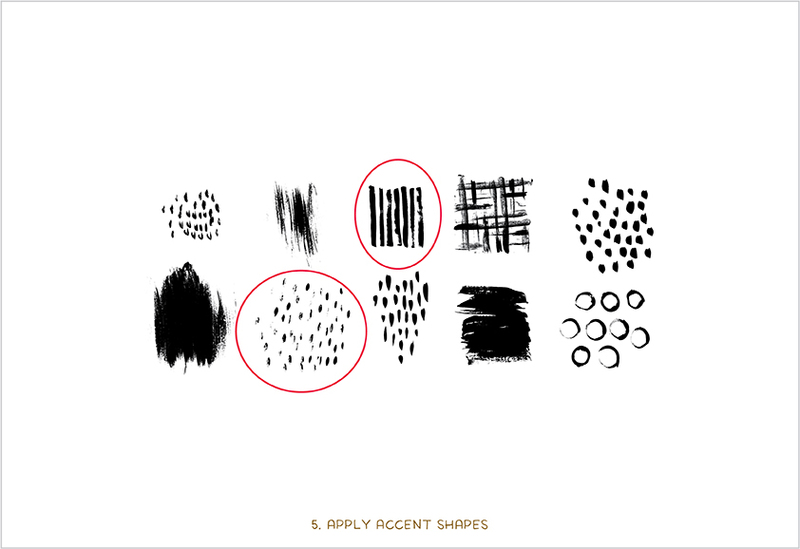 Open up the Hand drawn texture patterns document and select the texture you prefer and copy – I’ve chosen “Scribble”. 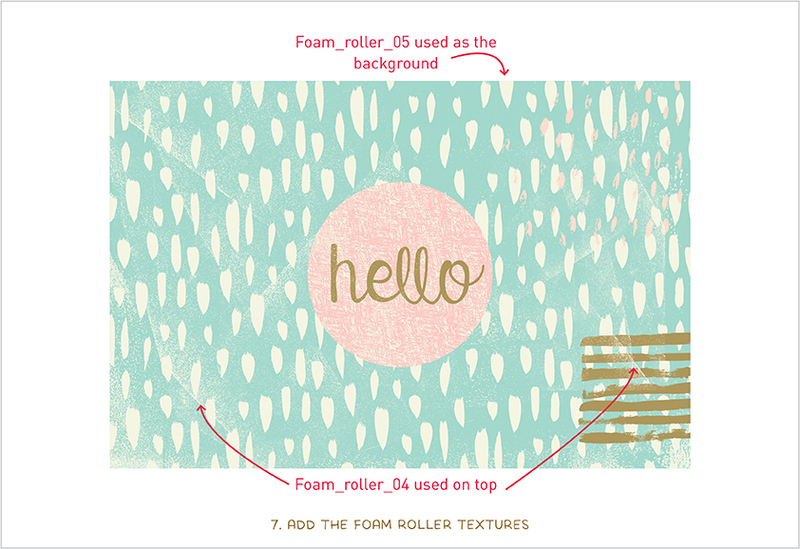 Move over to your document you created and paste your texture next to your artboard. Now do the same for the Brush patterns – I’ve chosen “Flecks”. Again copy and paste the pattern into your working document. Apply colour to your pattern tiles. Using your Swatch panel (you’ll find under Window > Swatches), you can apply colour to your pattern tile by selecting the pattern tile you pasted into your working document and click on a colour in the Swatch panel. Now simply drag and drop the new pattern tile directly into your Swatches panel. Apply your new pattern swatch. 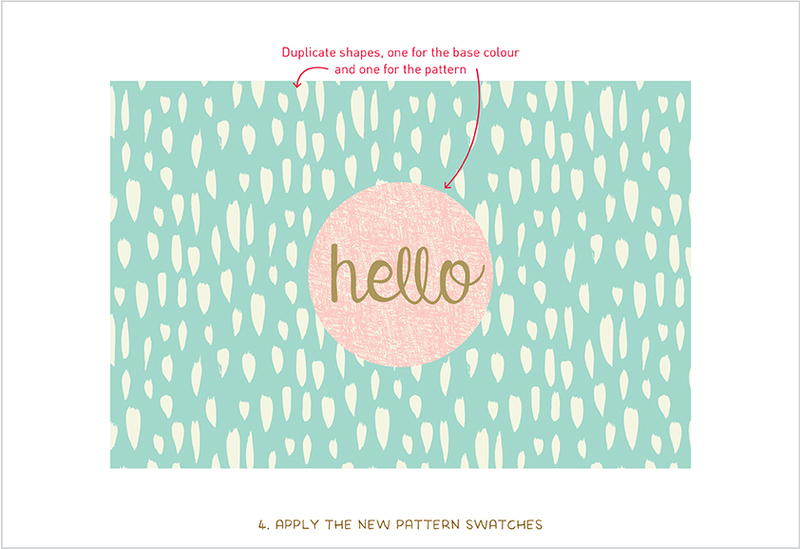 The first thing you need to do is duplicate your shapes you would like to apply the patterns to because you want two shapes directly on top of each other: one for the base colour and the top one for the pattern. So to do that, select your shape, go to Edit > Copy > Paste in Front – this will paste the object in the exact same position. With the top object still selected, apply your pattern swatch by clicking on the pattern swatch you created in the Swatches panel. Repeat the same process with the other object/s. 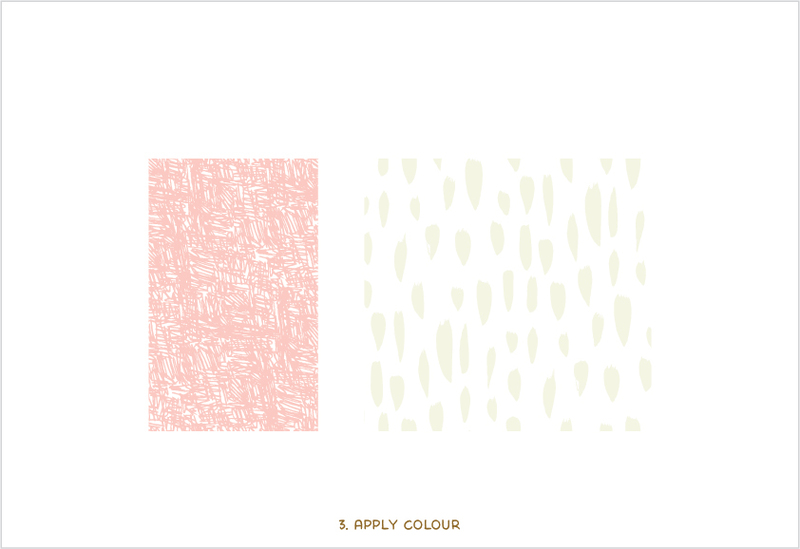 Tip: Because the pattern is separate to the ground colour, you can experiment with different colour combinations by simply changing the colour of the base shape. Open up the brush markings you’ll find in your Bonus folder. 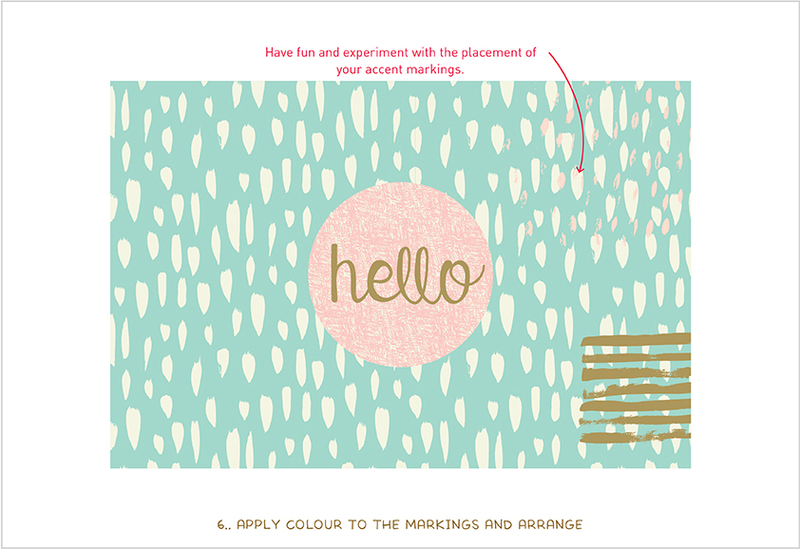 Choose one of more markings you like and copy and paste into your working document – I chose the streaks and speckles. Apply colour to markings and arrange. With your brush marking selected, apply colour to the object using your Swatches panel. Repeat for any other markings you would like to use. Now have fun and experiment with placement in your layout. Don’t forget to also play around with scale, and you can also duplicate the marking to be used several times in your design. Add the foam roller textures. To add even more texture depth to the piece, you can import some the foam roller textures included. Adobe Illustrator allows you to apply colour to bitmap TIFF files which means you can place the original black TIFF file directly into Adobe Illustrator and never need to open up Adobe Photoshop for colour change. To import the TIFF go to File > Place. 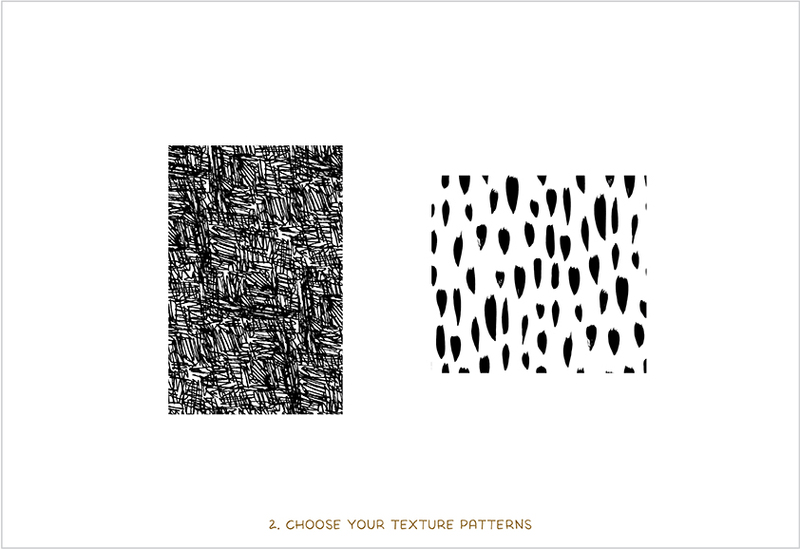 Navigate to the Foam Roller Textures folder and choose one of the textures from the BITMAP_TIFF folder and click Place. I’ve chosen to use two: Foam_roller_04; Foam_roller_05. I’ve used Foam_roller_05 as my background colour. In order to do that just simply apply colour to the Fill of the TIFF file using the Swatches panel. Place the TIFF image in position and resize if necessary. Now send the image to the back, go to Object > Arrange > Send to Back. Delete the original shape you had as the base colour and you should now have the texture of the foam roller as your background colour. You can also apply textures to sit on top of your design which looks great for a grunge effect. I used Foam_roller_04 as a cream texture as the top layer of my layout in two different sizes. I hope you found the tutorial useful. 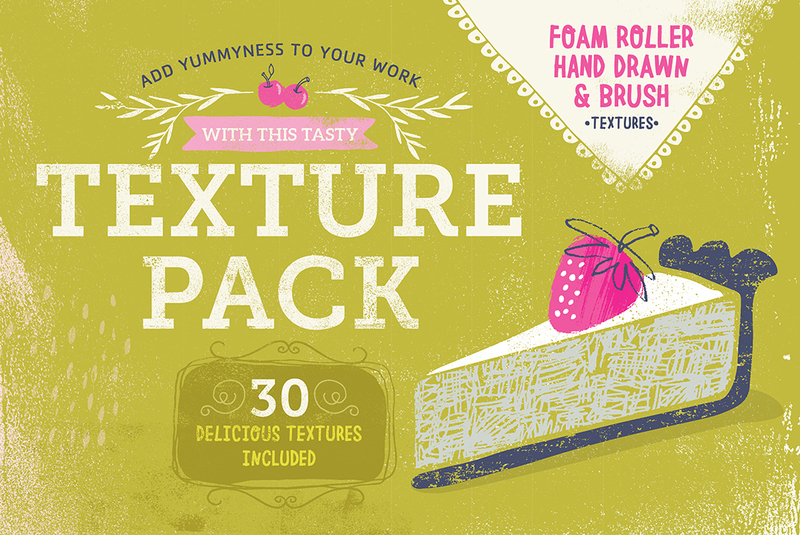 If you’re looking for an inexpensive texture pack to have on hand, the Tasty Texture Pack has a great variety of texture elements that you can easily customise and apply to your work. And I’ve made sure to include both vector (Adobe Illustrator) and high-res PNG files (Adobe Photoshop) for the seamless texture patterns, giving you more design freedom depending on what you’re comfortable using. Hi, I’m still confused on how to apply color to the textures. I try to as instructed, copy paste the object to my working file, but clicking the swatches doesn’t make any change at all. Could you probably give a video tutorial instead? I’m using Photoshop CS3. 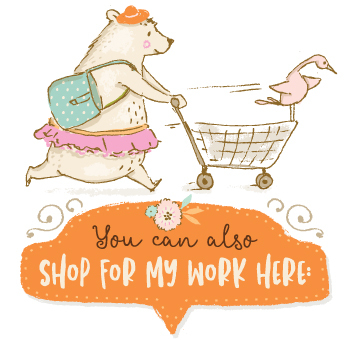 Sorry about the confusion, the above instruction apply mainly to Adobe Illustrator. For Adobe Photoshop it’s slightly different. I recommend you open up the A3 textures, these should be big enough for you to overlay in your document in Photoshop. This will ope a dialogue box, click on the colour box you see next to Blend Mode. Pick your new colour and click Ok until you’re out of the pop-up window. Your texture layer should now have the new colour applied. Don’t forget to experiment with the Blending Mode in the Layers Panel to achieve a more subtle overlay or create a different effect with the texture. Hope that helps! Yay! Glad you found it fun Stephanie! When I recolor the Scribble texture in Illustrator, little bits are still black. I’m sure I’m doing something wrong as I’m a new to Illustrator. Thanks for any tips! I figured it out! It was on stroke and not fill. Thanks! Happy to hear you figured it out 🙂 That sneaky little stroke or fill option often get’s in the way. Hope you have fun using the textures in your designs! Happy to see this tutorial. Well explained. Thanks for sharing.